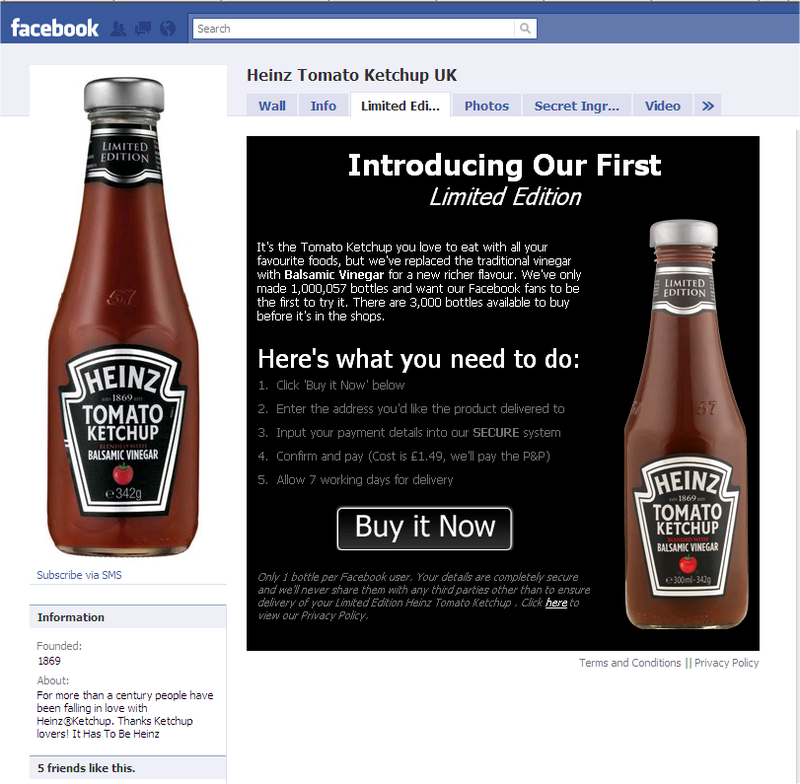 Today Heinz launched a new flavour variant of its Tomato Ketchup in the UK on Facebook. Heinz claimed their new Tomatao Ketchup Balsamic Vinegar flavour was their first flavour variant to be sold as a limited edition. The brand launched its iconic Tomato Ketchup back in 1876, seven years after the compnay launched; so the NPD team at Heinz may have had a while to work on this I guess. Heinz Tomato Ketchup Balsamic Vinegar promise a richer flavour, which sounds good, so I will try it. I wondered if it would be as rich as Branston Ketchup? I believe Branston use Beetroot in their recipe to add a depth to the flavour. But Heinz have used Balsamic Vinegar, which I associate with a mixed tart and sweet taste, so this might be an interesting twist. So I’ll find out soon enough. The product will also be distributed through retailers soon in the UK. 1,000,057 bottles of the limited edition Balsamic Vinegar version have been manufactured. Heinz sell 650 million bottles of their normal Tomato Ketchup every year worldwide.